Contact us for further details or hotel booking in the area. Paul de Grande’s premises in Snellegem, is located near the rustic village of Jabbeke, between Bruges and Ostend in Belgium. The ‘Kasteel Van Snellegem‘ is home of an impressive collection of more than 10000 items curated by Paul de Grande. Shop Antiques in a very wide ranging Collection of Antique furniture, Haute Epoque, wooden Statues & early objects. 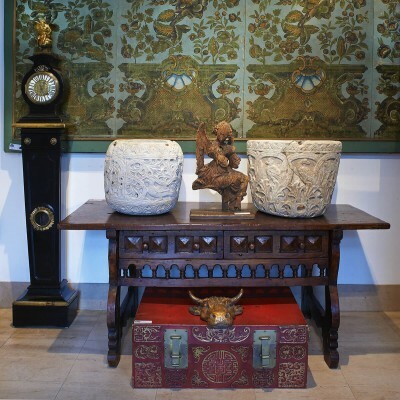 Paul de Grande collections are also filled with fine pieces of 19th-century Bronze sculpture and an absolute eclectic section of Decorative Objects.